Home News DE The astronaut Ing. 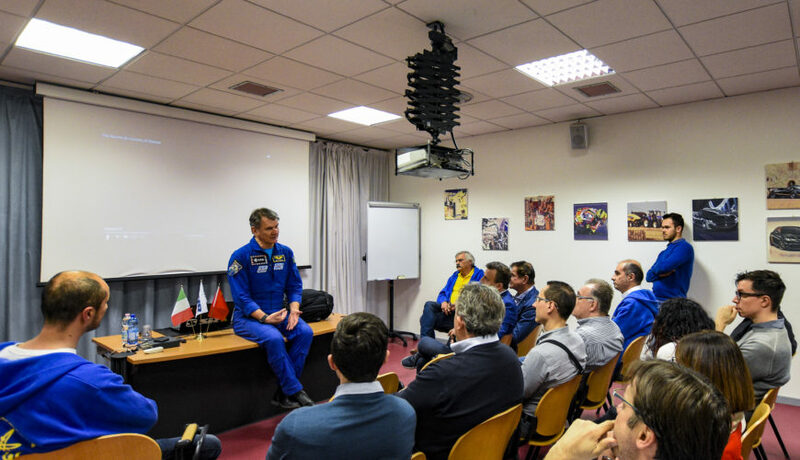 Paolo Nespoli visited SIR. On Friday 15/03, the astronaut Ing. Paolo Nespoli visited SIR. Ing. Nespoli is a major of the Italian Air Force. He took part in the military mission in the Lebanon and has been to space 3 times: in 2007, with the Space Shuttle Discovery STS-120 (USA) mission; in 2010, with the Soyuz TMA-20 ( RUSSIA) mission travelling to the International Space Station, when he stayed in space for 157 days; and, lastly, in 2017, with the Soyuz MS-05 (RUSSIA) mission travelling to the International Space Station, when he stayed in space for 139 days. Following a brief visit to our company, he held a conference during which he spoke of the technological and motivational challenges of space travel. He also spoke of the technological, organisational and cultural differences between the Russian and the American approach. The visit was organised in collaboration with the Cosmos association of Modena, active in matters pertaining to space and astronautics.